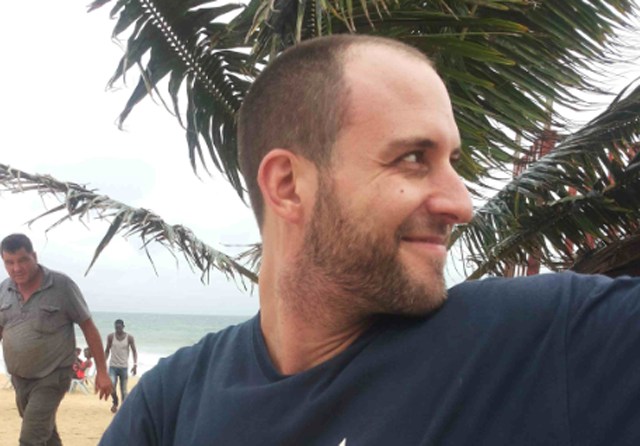 Ashoka Mukpo an American cameraman working for NBC News in Liberia, has tested positive for EVD. The 33-year-old started showing symptoms of the disease on Wednesday October1st and immediately quarantined himself after suspecting he might have contracted the disease. He then proceeded to the Doctors Without Borders test centre in Monrovia were it was confirmed that he had contacted the disease, making him the fifth America to have contracted the disease. He was diagnosed just two days after joining the NBC crew. He is expected to be evacuated from Liberia to the United States immediately for treatment.